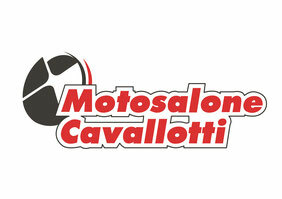 ROYAL ENFIELD - Motosalone Cavallotti - Due ruote a Monza! Himalayan 410 € 4800,00 f.c. Himalayan 410 Sleet € 4900,00 f.c. Bullet 500 Efi € 5000,00 f.c. Classic 500 € 5400,00 f.c. Classic Mat 500 Desert Storm / Squadron Blue /Battle Green / Gunmetal € 5400,00 f.c. Classic 500 Redditch € 5400,00 f.c. Classic Chrome 500 € 5500,00 f.c. Classic 500 Stealth Black €5500,00 f.c. Interceptor 650 Standard € 6200,00 f.c. Interceptor 650 Custom € 6400,00 f.c. Interceptor 650 Chrome Glitter&Dust € 6700,00 f.c. Continental GT 650 Standard € 6400,00 f.c. Continental GT 650 Custom € 6600,00 f.c. Continental GT 650 Chrome Mr. Clean € 6900 f.c.